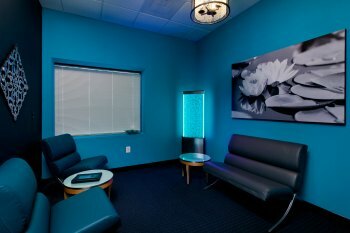 Relax and Rejuvenate with One Float and One Hydromassage at Float Frederick. This exclusive offer for only $65 available only on The Buzz. You won’t be fighting gravity. The 800 pounds of Epsom Salt in the water takes care of that while you lie on your back. It turns out that when you’re not fighting gravity or consistently taking in information, your body has a lot of extra resources at its disposal. Your mind is free to mull things over without distraction, your brain pumps out dopamine and endorphins, and your body gets to rest, de-stress, and heals. During your float, the outside world is gone and amazing things happen! 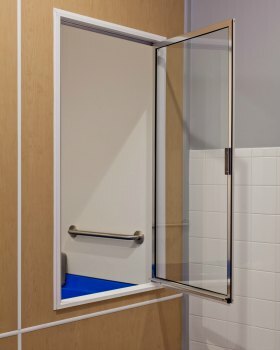 The longer and the more often the float room is used, the stronger the effects become, the longer they last, and the better off someone is when they come in to float again. This creates a positive spiral of recovery and health that simply works to reinforce itself, giving people a path and a means towards a better life. Flotation Therapy is a way to heal the mind and body from the constant stresses of daily life. A flotation room is an environment that acts as a counterbalance to every other interaction we have with the world around us. This environment allows our minds and our bodies to focus internally. No longer worried about filtering the outside world to look for potential danger, our production of stress-related hormones drop to almost nothing, our brainwaves lower in frequency to a state associated with mental relaxation and free-thinking, and there is a natural spike in the neurochemical, dopamine, which makes us feel happy. The following information is taken from over 200 research articles containing both lab experiments and case studies, published between the 1960’s and present. By flipping onto the stomach, all the weight of the baby can be effectively removed from the mother’s body, a welcome relief in the 8th or 9th month. The Hydro Massage bed is a convenient, dry, massage with the use of pressurized water. Simply lie down in the open design bed, fully clothed, and feel the immediate benefits of the traveling jet system, which delivers a full body massage. The restorative and healing properties of hydrotherapy itself (the use of heat and water) have been known to treat injuries and illnesses. 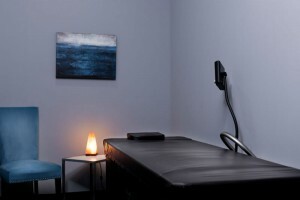 By combining the use of hydrotherapy with the use of massage therapy, the beds can deliver deep relaxation, rejuvenation, as well as decreased stress and tension with each use. In addition, Hydrotherapy has been known to aid in the remedy of anxiety, migraines, digestion, circulation, high blood pressure, flexibility, and more!